He’s rinsed the reggae hip-hop mash-up concept, curated a compilation of Kiwi dub reggae, dropped a comp. of his own remixes and recently had out a single of all original material. 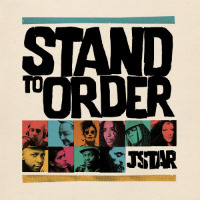 So it stands to reason that JStar‘s full-length studio album Stand To Order would follow in – er – short order – as our man assembles an all-star cast from the global reggae/ dancehall underground for eight (or ten – depending on format) club-ready vocal cuts encompassing both the rootsy and digital ends of the dub reggae spectrum. The LP kicks off with recent single and highlight – lilting Kinck vehicle Liar Liar – a mellow banger to be filed alongside similarly styled corkers such as Mr Benn’s Nanci Correia-featuring Stand Up or Hollie Cook’s Milk & Honey. Brother Culture brings some Brixton grit on the second track – another highlight entitled Deadly Dance – as he skewers weed-fuelled badman-posturing over a heavyweight riddim. Elsewhere Tomawok brings rapid fire raggamuffin verbals over double-time dancehall drums and Soom T appears on one of the poppiest cuts (as indeed she did on Dirty Dubsters’ Special Request) in the shape of the uptempo title track. 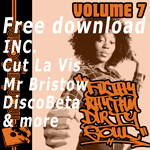 For those buying on vinyl it’s game over by the time you reach the end of the rootsy dub vibes of Babylon Children whereas digi-fiends and those vinyl buyers who activate their free download codes also get treated to the unmistakeable dancehall rasp of Blackout JA on All I Have and the spacey dub melodies of Moving On which – as every track on this does – reflects JStar’s ear for crowd-pleasing hook. Those who don’t feel the album provides quite the requisite amount of echo ‘n FX however will be pleased to hear that there is a Dub To Order LP available too. Don’t say JStar never does anything for you!